This entry was posted in Important Life Stories on November 12, 2013 by Steve Tilford. Our area lost one of the good guys when Christian Beattie passed away last night. He had been battling leukemia for the past few years. And doing it so bravely that it made me jealous of his mindset. Christian was diagnosed with the disease, but it really didn’t slow him down. He travelled, stayed true to his heart, the bicycle, and lived life to the fullest. I haven’t seen Christian since the Dirty Kanza, but I really didn’t need to. He was one of those guys that you could not see for years and just fall back into a relaxed conversation instantly. He was a soldier, in many ways. He will be missed. Back when he was just a whippersnapper. My brother has this bike of his out in our garage. Christian being his normally animated self at the Dirty Kanza. Check out Christian’s facebook page. Leave a message if you wish. SAd news for those that knew him . 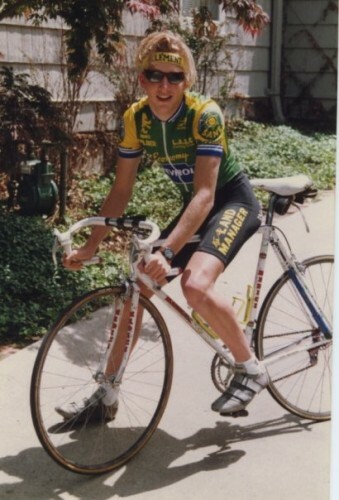 The first time I met Christian, he was a junior racing the crit for the Tour of KC in Overland Park that year. He won the juniors and 1, 2 race…lapping both fields in the process. The funniest thing I ever saw at a bike race was when he was watching the masters racing. He was sitting on the curb in the toughest corner and every time the field would come through he would scrape an aluminum can on the ground. It was hilarious, and he had the field totally spooked. He did it every lap and made everyone around laugh. I also remember the crazy pickup that he painted zebra stripes on….great guy. He will be missed. I was an undistinguished junior racer a couple years younger than Christian. I wouldn’t be surprised if I spoke for a number of others in recalling the reverence I had for him, of course because he was fast, but fed by the fact that he was such a nice guy. No one would blame him now if he had oozed some attitude, a teenager with talent, but he didn’t. I recall him being supportive and encouraging of other riders. 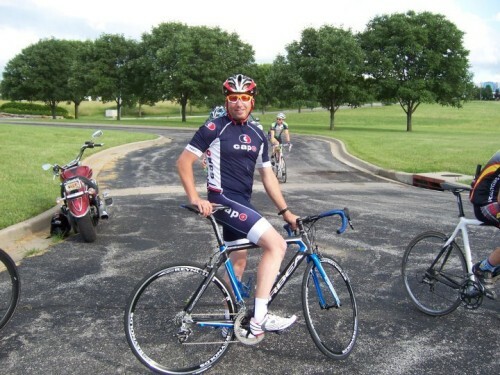 He was the type of cyclist that waved when you saw him headed back on 83rd and you were headed out. I didn’t know him well and the recollections are 20+ years old, but that’s the impression my interactions with him made. I’m very sorry to hear that he passed and my condolences to his friends and family. When I moved back to Kansas after college, Christian was the fast guy. 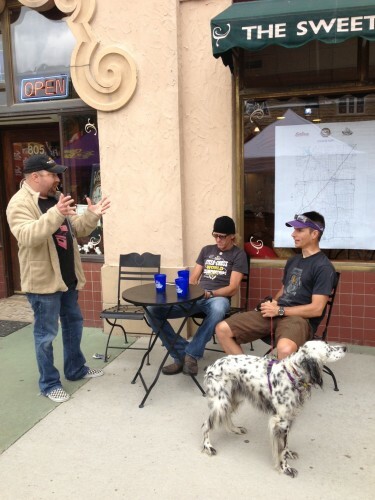 Where I raced, most of the fast cat 1 guys had an attitude and acted as though they just finished the Tour. Meeting Christian , he was the total opposite. Nice, talkative and humble. I remember being in a road race with him when all of the sudden he pulls out a burrito from Taco-Bell and start eating it. I looked at him with a puzzled look, he then offers me a bite and says “these are the best !” Cool dude that will be missed.